President Donald Trump demanded that White House economic adviser Gary Cohn support new tariffs. Cohn did not commit to supporting the tariffs because he believed it would hurt the economy. Cohn announced his resignation from the White House hours later. 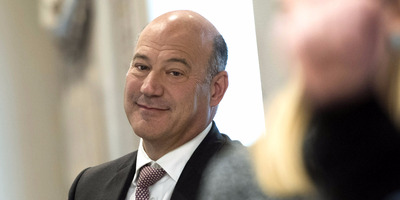 President Donald Trump demanded that Gary Cohn publicly stand by new tariffs just hours before the president’s top economic adviser announced his resignation, according to a new report. Bloomberg’s Jennifer Jacobs reported that Trump asked Cohn – who was vocal in his distaste for the new trade measures – if he was on the “same team” when it came to the new tariffs on steel and aluminium during a meeting at the White House on Tuesday. Cohn did not reply, according to the report. The former Goldman Sachs executive pushed Trump to reconsider the tariffs over the past few days, even setting up a meeting with executives from industries that would be hurt by them. Despite the push, Trump has remained steadfast in his desire to implement the tariffs and even suggested that a trade war could be beneficial to the US. On the other hand, Cohn – along with many economists – believe the broad-based tariffs of 25% on steel and 10% on aluminium would increase costs for many companies, raise prices for consumers, and eventually lead to job losses for the US economy. The legal language has not been finalised on the tariffs, but Trump is expected to approve the measures sometime over the next week. Cohn’s departure brings to a close a wild rise in the White House, during which he almost departed after Trump’s response to the violence in Charlottesville, Virginia, and was also reportedly considered for chief of staff and the next chair of the Federal Reserve.